Bring On the Easter Bunnies!! Hello and Happy Saturday Crafty Friends! Tina here from Cards and Coffee Time. 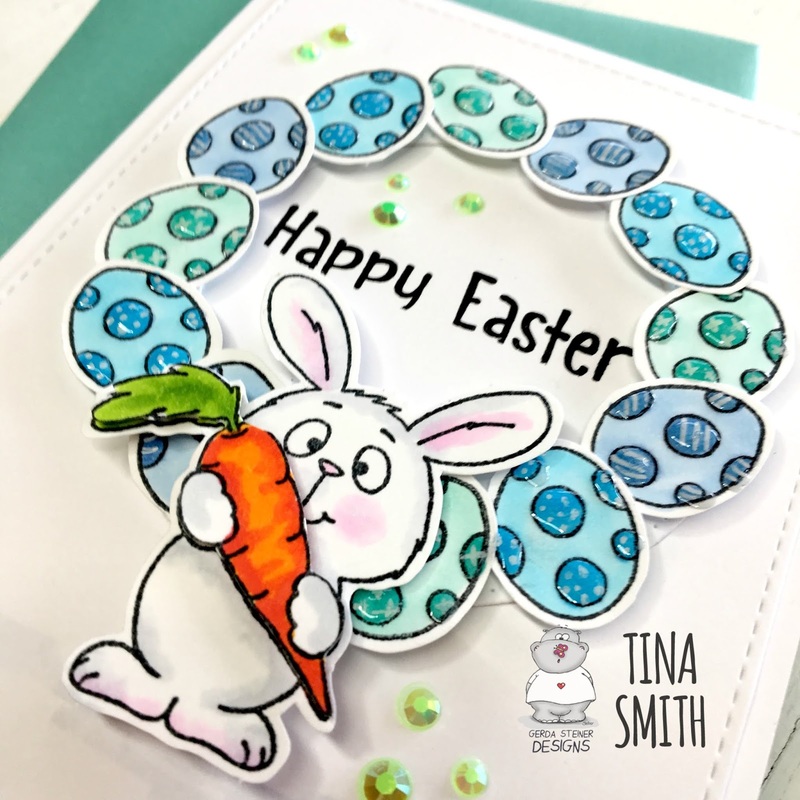 Spring is in the Air and it's time to Bring on the Easter Bunnies!! 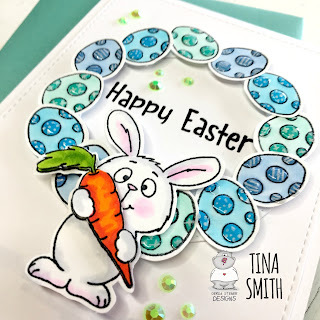 Today I am "EGG"cited to share with you a card made with the adorable Easter Bunnies stamp set. 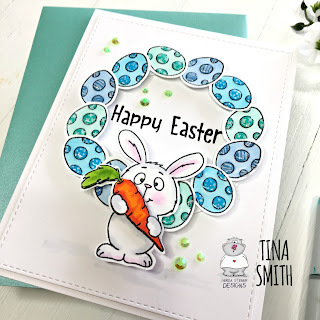 I created an Easter Egg wreath in several shades of blue and added the sweet Easter Bunny holding the carrot. 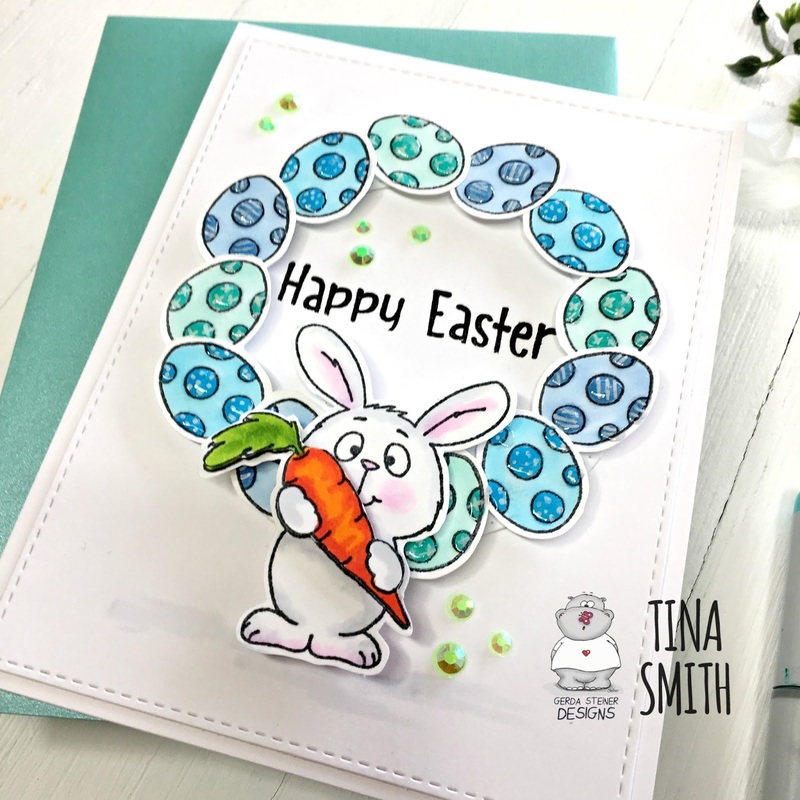 I love the way the bunny stands out against the blue wreath background:) I hope you do too! !